Magmatic Resources (ASX:MAG) has announced an expansion of its Moorefield Project in NSW, with a 193 square kilometre expansion following the granting of a new exploration license by Australian authorities. Moorefield project showing tenement holders over the RTP magnetic image highlighting the Boxdale-Carlisle and Pattons trends extending into newly granted EL8669 tenement. Image source: Magmatic Resources. It should be noted here that this company is an early stage explorer and investors considering this stock for their portfolio should seek professional financial advice before making an investment decision. Carlisle Reefs is located at the southern end of a 15 kilometre magnetic trend that extends from south of the Carlisle Reefs prospect to north of the Boxdale prospect. Gold Fields previously drilled five RC holes at Boxdale including gold intercepts of 19 meters @ 1.28g/t gold and 15 metres @ 1.0g/t gold. 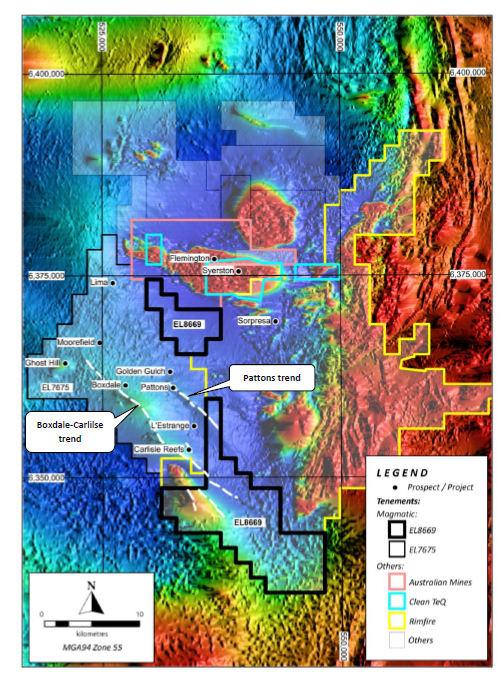 A soil sampling program to define drill targets on the Boxdale-Carlisle and Pattons trends is currently underway and a high-resolution aeromagnetic survey is also planned. MAG has now published its most recent results from its first air-core drilling program at the Lady Ilse copper-gold project. The best result from shallow air-core drilling is 2 meters @ 1.61g/t gold from 24 meters at bottom of hole. 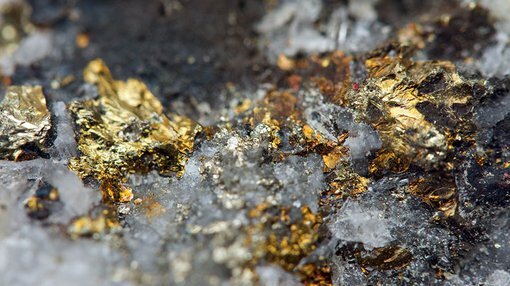 The company reports that its best gold intercepts also have elevated copper which bodes well for MAG’s future polymetallic ambitions. According to MAG, 30 air-core holes have now been drilled for 392 metres over four 200-metre spaced lines with holes 50 metres apart. From these, “indications are that a gold anomaly which was previously detected is up to 150 meters wide and 300 meters long and is open to the east,” MAG Managing Director David Richardson said.